If you’ve ever wondered why underdogs win or how to improve your odds of winning when you’re the underdog, this article on The Colonel Blotto Game is for you. There is a rich tradition of celebrating wins by the weak—while forgetting those who lost—including the biblical Story of David vs. Goliath. It is notable, that “David shunned a traditional battle using a helmet and sword and chose instead to fight unconventionally with stones and a slingshot,” says Michael Mauboussin. Luckily, David was around before Keynes said: “It is better to fail conventionally than to succeed unconventionally.” Turns out, if you’re an underdog, David was onto something. 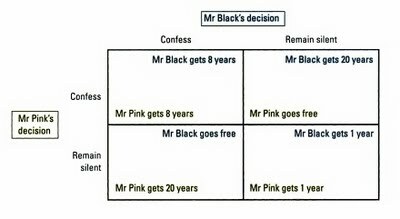 Despite the fact it is not as well known as the Prisoners’ Dilemma, the Colonel Blotto Game can teach us a lot about strategic behavior and competition. Underdogs can change the odds of winning simply by changing the basis of competition. So what exactly is the Colonel Blotto Game and what can we learn from it? In the Colonel Blotto game, two players concurrently allocate resources across n battlefields. The player with the greatest resources in each battlefield wins that battle and the player with the most overall wins is the victor. An extremely simple version of this game would consist of two players, A and B, allocating 100 soldiers to three battlefields. Each player’s goal is to create favorable mismatches versus his or her opponent. The second principle was more important. Ranadivé was puzzled by the way Americans played basketball. He is from Mumbai. He grew up with cricket and soccer. He would never forget the first time he saw a basketball game. He thought it was mindless. Team A would score and then immediately retreat to its own end of the court. Team B would inbound the ball and dribble it into Team A’s end, where Team A was patiently waiting. Then the process would reverse itself. A basketball court was ninety-four feet long. But most of the time a team defended only about twenty-four feet of that, conceding the other seventy feet. Occasionally, teams would play a full-court press—that is, they would contest their opponent’s attempt to advance the ball up the court. But they would do it for only a few minutes at a time. It was as if there were a kind of conspiracy in the basketball world about the way the game ought to be played, and Ranadivé thought that that conspiracy had the effect of widening the gap between good teams and weak teams. Good teams, after all, had players who were tall and could dribble and shoot well; they could crisply execute their carefully prepared plays in their opponent’s end. Why, then, did weak teams play in a way that made it easy for good teams to do the very things that made them so good? Basically, the more dimensions the game has the less certain the outcome becomes and the more likely underdogs are to win. In other words, adding battlefields increases the number of interactions (dimensions) and improves the chances of an upset. When the basketball team cited by Malcolm Gladwell above started a full court press, it increased the number of dimensions and, in the process, substituted effort for skill. The political scientist Ivan Arreguín-Toft recently looked at every war fought in the past two hundred years between strong and weak combatants in his book How the Weak Win Wars. The Goliaths, he found, won in 71.5 percent of the cases. That is a remarkable fact. Arreguín-Toft was analyzing conflicts in which one side was at least ten times as powerful—in terms of armed might and population—as its opponent, and even in those lopsided contests, the underdog won almost a third of the time. In the Biblical story of David and Goliath, David initially put on a coat of mail and a brass helmet and girded himself with a sword: he prepared to wage a conventional battle of swords against Goliath. But then he stopped. “I cannot walk in these, for I am unused to it,” he said (in Robert Alter’s translation), and picked up those five smooth stones. Arreguín-Toft discovered another interesting point: over the past two centuries the weaker players have been winning at a higher and higher rate. For instance, strong actors prevailed in 88 percent of the conflicts from 1800 to 1849, but the rate dropped very close to 50% from 1950 to 1999. In contrast, when the weak actors choose to compete on a different strategic basis (effectively increasing the size of n), they lose less than 40 percent of the time “because the weak refuse to engage where the strong actor has a power advantage.” Weak actors have been winning more conflicts over the years because they see and imitate the successful strategies of other actors and have come to the realization that refusing to fight on the strong actor’s terms improves their chances of victory. 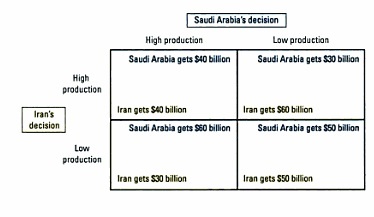 This might explain what’s happening in the Gulf War. In the Gulf War, the number of battlefields (dimensions) is high. Even though substantially outnumbered, the Taliban, have increased the odds of “winning,” by changing the base of competition, as they did previously against the superpower Russians. It also explains why the strategy employed by Ranadivé’s basketball team, while not guaranteed to win, certainly increased the odds. A more concrete example comes from Division I college football. Texas Tech has adopted a strategy that has allowed it to win over 70 percent of its games in recent years despite playing a highly competitive schedule. The team’s success is particularly remarkable since few of the players were highly recruited or considered “first-rate material” by the professional scouts. Based on personnel alone, the team was weaker than many of its opponents. Knowing that employing a traditional game plan would put his weaker team at a marked disadvantage, the coach offset the talent gap by introducing more complexity into the team’s offense via a large number of formations. These formations change the geometry of the game, forcing opponents to change their defensive strategies. It also creates new matchups (i.e., increasing n, the number of battlefields) that the stronger teams have difficulty winning. For example, defensive linemen have to drop back to cover receivers. The team’s coach explained that “defensive linemen really aren’t much good at covering receivers. They aren’t built to run around that much. And when they do, you have a bunch of people on the other team doing things they don’t have much experience doing.” This approach is considered unusual in the generally conservative game of college football. While it’s easy to recall all the examples of underdogs who found winning strategies by increasing the number of competition dimensions, it’s not easy to recall all of those who, employing similar dimension enhancing strategies, have failed. Another interesting point is why teams who are likely to lose use conventional strategies, which only increase the odds of failure? What the analysis also reveals, however, is that nearly 80 percent of the losers in asymmetric conflicts never switch strategies. Part of the reason players don’t switch is that there is a cost: when personnel training and equipment are geared toward one strategy, it’s often costly to shift to another. New strategies are also stymied by leaders or organizational traditions. This type of inertia appears to be a consequential impediment to organizations embracing the strategic actions implied by the Colonel Blotto game. The consistent failure of underdogs in professional sports to even try something new suggests, to me, that there is something fundamentally wrong with the incentive structure of the leagues. I think, for example, that the idea of ranking draft picks in reverse order of finish — as much as it sounds “fair” — does untold damage to the game. You simply cannot have a system that rewards anyone, ever, for losing. Economists worry about this all the time, when they talk about “moral hazard.” Moral hazard is the idea that if you insure someone against risk, you will make risky behavior more likely. So if you always bail out the banks when they take absurd risks and do stupid things, they are going to keep on taking absurd risks and doing stupid things. Bailouts create moral hazard. Moral hazard is also why your health insurance has a co-pay. If your insurer paid for everything, the theory goes, it would encourage you to go to the doctor when you really don’t need to. No economist in his right mind would ever endorse the football and basketball drafts the way they are structured now. They are a moral hazard in spades. If you give me a lottery pick for being an atrocious GM, where’s my incentive not to be an atrocious GM? Underdogs improve their chances of winning by changing the basis for competition and, if possible, creating more dimensions. We often fail to switch strategies because of a combination of biases, including social proof, status quo, commitment and consistency, and confirmation. Michael Mauboussin is the author of More More Than You Know: Finding Financial Wisdom in Unconventional Places and more recently, Think Twice: Harnessing the Power of Counterintuition.